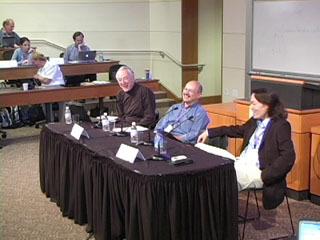 This panel had the EFF's Fred von Lohmann, Charlie Nesson and Leslie L. Vadasz, Director Emeritus, Intel Corporation on it and was hosted by Jonathan Zittrain. 19:48 Fred - in the rush to save the pirates? 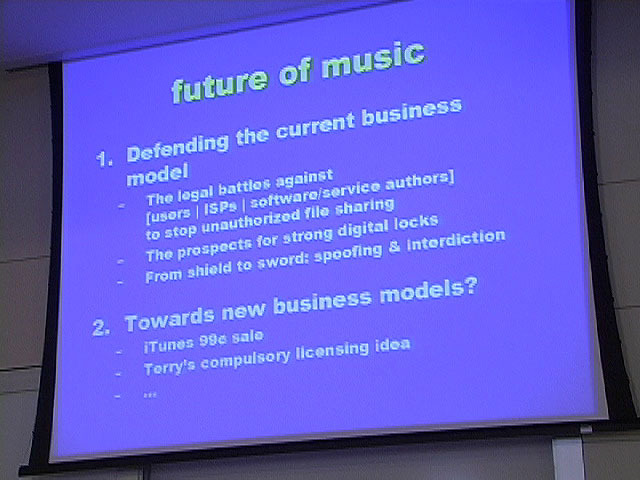 Regarding the "Future of Music". 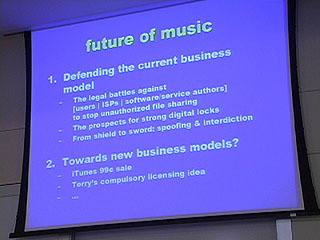 Should it not say the "Future of making money on music". It's not like we have got to "save the music". There has always been and will always be music. 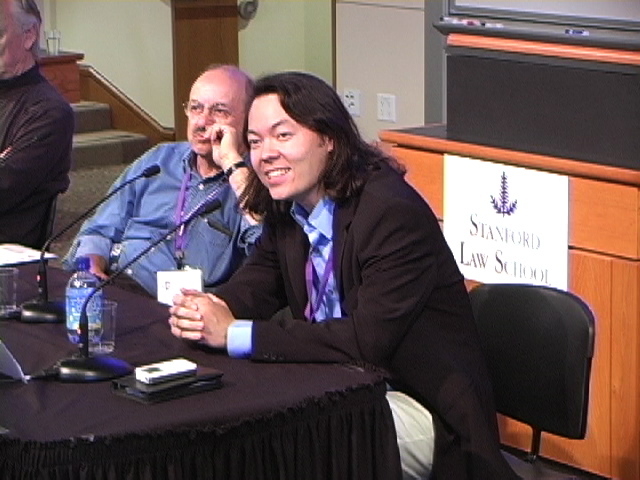 People wearing ties and profiting from it has only been around for so long. Lisa, did you include the coda you shot of me at the end?